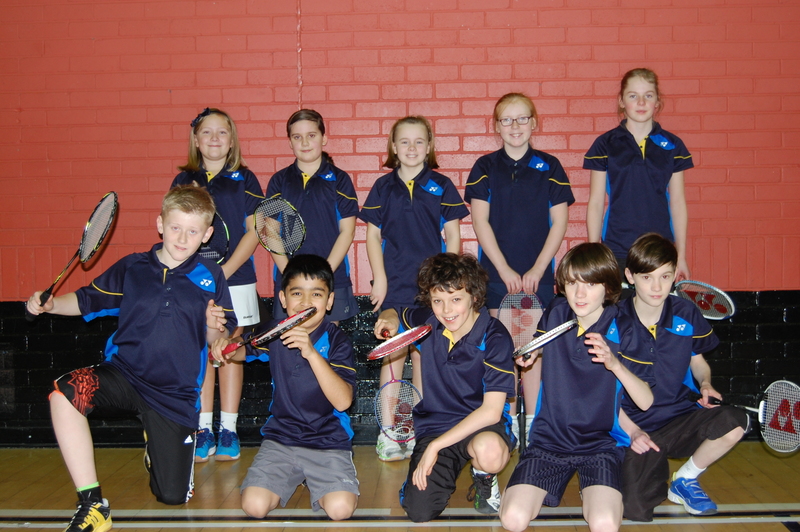 U/12 North Midway Badminton League On Sunday 18th January 2015, it was the 2nd leg of the U/12 North Midway League. Leicestershire entered a 2nd team into this leg to give some of Leicestershire’s, younger and less experienced players the opportunity to play in this fun team event. In the first match we faced Warwickshire, who were the strongest team in the group and we lost 9-1, with Emily and Lewis taking the only win in the mixed doubles. Next we faced Cheshire and this as a closely contested match losing 3 games 21-20. Finn and James managed to win their doubles 21-20 and Ayush won his singles resulting in an 8-2 defeat. The third match was against Yorkshire 1st team who proved too strong and we lost 9-1, with Ayush and Emma winning the one. Next we came up against Nottingham again it was tough match, with most of the games being lost to the high teens. Sophie won her singles and Tom and James took their boys doubles, resulting in an 8-2 loss. Finally we faced Yorkshire 2nd team and we ended the day on a high note, winning 6-4 with great performances from the whole team. Overall the team were placed 7th out of 8.